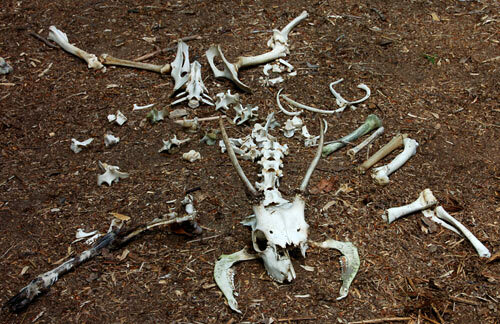 An interesting discovery was made last week on our Woodlore Tracking course, when deer remains were discovered in the woods. Is anyone able to identify the type of deer they came from? This entry was posted in Bushcraft Courses & Expeditions on May 27, 2010 by Woodlore Team. It’s definitely a dead deer! Looks like a Red with undeveloped antlers.